The European Union and Ukraine held a summit on 19 December where they were expected to sign a long-awaited Association Agreement after over 20 rounds of negotiations. The parties ultimately failed to reach a deal and the country's geostrategic direction, attracted by the EU but also under intense pressure to join a Russia-led alliance, remains in doubt. There have periodically been marked tensions between the two parties during the negotiations, with disagreements over political prisoners and granting Ukraine an explicit prospect for EU membership. These difficulties were apparent during a 12 December three-hour pre-summit meeting between EU Commissioner for Enlargement and Neighbourhood Policy Štefan Füle and Ukrainian President Viktor Yanukovich. For the European Union, Ukraine represents by far the largest country of its 'Eastern Partnership' with former Soviet republics and its biggest recipient of EU aid with some €470 million earmarked for the 2011-2013 period. In this framework, Ukraine is also the country most advanced in putting in place a solid legal base for its EU relations. The EU has also significant economic interests in the country, with considerable imports of natural gas via Ukraine, trade valued at some €40 billion, and opportunities to invest in the country's vast agricultural potential. Ukraine has become something of a case study of the EU's ability to influence and democratise neighbouring countries on the continent. Yanukovich came under fire from EU leaders due to the deterioration of the rule of law and in particular the trial and sentencing of former Prime Minister Yulia Tymoshenko on charges of abusing her office. There is also a geopolitical dimension as many member states, notably Poland, believe Ukraine represents a key test as to whether the EU can attract former Soviet states and reduce the influence of Moscow. Relations with the EU are also critically important to the authorities in Kyiv, as they represent opportunities for trade and investment, possibilities for travel and work for Ukrainian citizens, and financial assistance to modernise the country's ageing, inefficient and sometimes unsafe energy infrastructure. Young Ukrainians are hugely in favour of the country's closer EU integration. The Ukrainian government has clearly bet on closer ties as the means of escaping economic instability and underperformance. While the Ukrainian economy has returned to growth since the 2008 economic crisis, it remains vulnerable due to its dependence on foreign capital, a fact highlighted by a recent breakdown of talks with the International Monetary Fund. The Association Agreement includes a so-called Deep and Comprehensive Free Trade Area (DCFTA), the first of its kind, which would not only further liberalise economic relations with the EU – which already represents a third of the country's international trade – but would require Ukraine to pass legislation approximating EU trade rules. The latter represents a significant commitment on Kyiv's part as it includes areas as wide-ranging as intellectual property, competition and state aid, technical barriers to trade and health. These closer ties also risk harming the country's relations with Russia as they exclude the possibility of Ukraine joining the Moscow-led Customs Union as well as Russian Prime Minister Vladimir Putin's ambitious plans for a 'Eurasian Union' encompassing many of the former Soviet states. This is why the initialling of the Association Agreement could be the beginning of a decisive shift in the country's geopolitical orientation after centuries of association with, and rule from, Moscow. Yanukovich has pushed for the inclusion of a specific clause addressing prospects for Ukraine's membership of the EU in the text of the agreement. Notwithstanding the risks he has taken and the commitments made, it is unclear if Yanukovich will be rewarded on 19 December. With EU leaders struggling with the immediate threat of the eurozone debt crisis and certain member states suffering from 'enlargement fatigue', there may be little appetite to grant even a symbolic assurance of its joining the 'European family'. Germany is reportedly among the countries most sceptical of making overtures to Ukraine under the present economic and political circumstances. In Ukraine, as in most eastern European countries, closer ties with the European Union and eventual membership are seen as a way to increase national wealth through investment, trade and workers' mobility. The EU is Ukraine's most important trading partner, accounting for 27.1% of the country's exports and 33.7% of imports in 2008, for a total valued at €39.5 billion. Ukraine's major exports include agricultural products, metals, chemicals and gas transiting from Russia and other countries. In addition, in 2009, 79% of foreign direct investment (FDI) in Ukraine came from the EU, valued at €21 billion. Improved economic performance is something of an imperative for the country as the economy has been marked by recurring instability since independence in 1991. During the 1990s, the economy suffered depression and hyperinflation. Following relatively steady growth in the 2000s, the Ukrainian economy shrank over 15% in 2009 as a result of the global economic and financial crisis. Since then the country has entered a measured recovery and the International Monetary Fund estimates it will grow by 5% and 3.5% respectively in 2011 and 2012. However, continued growth could be threatened by lack of access to foreign capital for investment. Last month Ukrainian officials said they were turning away from an €11.6 billion programme and instead, like many EU countries, were seeking new lines of credit from China. The enhancement of trade and investment is a major part of the upcoming Association Agreement between the EU and Ukraine. While economic ties were already liberalised when Ukraine joined the WTO in 2008, the proposed agreement also includes the establishment of a Deep and Comprehensive Free Trade Area (DCFTA). DCFTA would come into force immediately upon signature, while the ratification of the Association Agreement would probably take a couple of years. This would help speed up reforms, conforming Ukraine to European law in certain areas. An example of this was seen last September, when Ukraine removed a ban on land sales to foreigners. Kyiv is expected to further liberalise the land market over the next year, which may lead to a rise in land prices and the possibility of large-scale purchases by foreign buyers. Ukraine is by far the largest of the countries taking part in the EU's so-called 'Eastern Partnership' programme – which also includes other former Soviet republics Belarus, Moldova, Armenia, Georgia and Azerbaijan – and is a "priority partner" in the EU's Neighbourhood Policy. This has also meant EU financing of €1.29 billion for various projects over 2011-2013, of which Ukraine is receiving €470 million. The programmes cover a variety of areas including improvement of public administration, border control and higher education. A major aspect is the modernisation of the country's ageing Soviet-era infrastructure, which was built with little regard for environmental issues. The EU earmarked some €20 million this year for improving energy efficiency in what is one of the world's most energy-intensive countries. The EU has also funded projects to improve safety of Ukraine's nuclear power plants, which provide almost half of the country's electricity. This has included substantial funding over the years on projects related to the Chernobyl nuclear disaster site. Last April the EU pledged another €110 million to finance a new sarcophagus to contain radiation from the damaged reactor. Energy plays a dominant role in Ukraine's economy. The country has a deep and ambivalent relationship with its neighbour Russia that has occasionally got out of hand. Ukraine was the largest of the constituent republics of the Soviet Union (after Russia itself) and Moscow today considers Ukraine to be part of its 'near abroad', an euphemism for Russia's sphere of influence. The country is heavily marked by its history with Russia. Today, 17% of Ukrainians, over 8 million people, are ethnic Russians, largely concentrated in the south and east. Both parliamentary and national elections have followed this geographical split, with the south and east tending to vote for current President Viktor Yanukovich and his Party of Regions and the rest tending to vote for former Prime Minister Yulia Timoshenko, who is now serving jail time on charges of abuse of office. Russian Prime Minister Vladimir Putin has voiced his ambition to create a 'Eurasian Union' which would include many former Soviet republics. Though the proposal is somewhat vague, it appeared to many analysts to be targeted towards Kyiv. The Eurasian Union would grow out of the existing Customs Union between Russia, Belarus and Kazakhstan. Putin has argued that membership of the Eurasian Union would eventually help its members to integrate with the European Union from a position of strength, although it is unclear how the two institutions would work together in practice. The Russian prime minister has previously called for a "common economic area from Lisbon to Vladivostok". The 2004 'Orange Revolution' which temporarily sidetracked Yanukovich was widely seen as signifying a shift by Ukraine from Russia to the West. The ensuing years 2005-2009 were marked by recurring disputes between the countries over natural gas contracts. These led to cuts in Russia's exports to Ukraine in January 2006 and 2009. These cuts also affected many EU countries as 80% of the Union's gas imports from Russia transit through Ukraine. This is to be significantly reduced in the coming months as Nord Stream, a Russia-Western Europe gas pipeline running under the Baltic Sea and thus bypassing Ukraine, was opened in November 2011. Ukraine, just as Poland or the Baltic countries, has opposed this project. Ukraine also strongly opposes South Stream, a Gazprom-favoured planned pipeline bringing gas to Central Europe bypassing Ukraine. Ukraine has sought to diversify its sources of energy. The government has pushed for the resumption of gas imports from Turkmenistan, which holds the world's fourth-largest reserves of natural gas, and asked for investment from US firms in its nuclear sector, including imports of nuclear fuel. As with gas, the country currently largely depends on Russia for nuclear fuel. So far however, President Yanukovich – despite being purportedly less 'pro-Western' than his predecessor – appears to have prioritised formal integration with the EU over integration with Russia. At the same time, he has attempted to maintain cordial relations with Moscow. This balancing act has been largely successful thus far. While pursuing closer ties with the EU, and pointedly refusing to join Russia's Customs Union, Yanukovich also signed the so-called Kharkiv Pact in April 2010. The deal combined a discount on Russian gas with a 25-year extension (to 2042) of a lease allowing the Russian Navy to maintain its vessels in military bases in the Crimea, Ukrainian territory. Ukraine is conducting difficult negotiations to bring down the price of gas it pays to Russia - as a result of a 2009 deal negotiated when Tymosenko was prime minister. The parties will reportedly not reach an agreement before the end of the year. Moscow has indicated it will cut the price of gas for Ukraine if the country agrees to sell a 50% share of its pipelines to Russian gas export monopoly Gazprom. Imperfect democracy: A threat to association and potential membership? European leaders and international organisations have been critical of the state of democracy and the rule of law in Ukraine. This poses a significant challenge to the country's authorities as they push for closer relations with the EU and, ultimately, membership. At a summit of in September 2011, Ukraine, along with other Eastern Partnership countries, refused to sign a declaration condemning the deterioration of human rights and the rule of law in Belarus. The Ukrainian government has also been divided over the EU's 'democracy grants' funding civil society organisations in the country. However, the most controversial development has been the prosecution of Tymoshenko. The telegenic businesswoman, who had made her fortune in the gas industry, came to power in January 2005 following the Orange Revolution that had ousted Yanukovich from his first stint in office. Yanukovich went on to become president of the country in February 2010 after defeating Tymoshenko in national elections. Criminal cases against her were filed shortly thereafter. In October, Tymoshenko was sentenced to seven years in prison for abuse of office during her time as prime minister in the negotiation of a gas deal with Russia in 2009. The EU considered the trial 'politically motivated' and members of the European Parliament were critical of the verdict. A milestone meeting between Yanukovich and Commission President José Manuel Barroso was postponed as a result of the verdict. Tymoshenko's party, the All-Ukrainian Union 'Fatherland', is a member of the European People's Party, the EU's centre-right transnational political bloc whose members include the largest political group in the Parliament and the overwhelming majority of EU commissioners and national governments. Ukrainian officials have since said they will press more charges against Tymorshenko over alleged crimes in the 1990s. Potential charges include the embezzlement of almost €300 million from the ministry of defence and commissioning the murder of Ukrainian MP Yefhen Shcherban in 1996. It is notable that Tymoshenko has explicitly called for the Association Agreement to be signed with the EU regardless of the outcome of her trials. In a letter to EU leaders dated 2 November, she said: "I ask you to sign the Association and Free Trade Area Agreements no matter my fate. I cannot allow my personal freedom to be the reason for the death of the European dream of Ukraine’s people." Since then the European Parliament, for all its rhetoric, has voted a resolution urging the rapid signing of the Association Agreement. Others have also been critical of developments in Ukraine. The Council of Europe, an international organisation separate from the EU and of which Ukraine is a member, has been critical of electoral reforms proposed by Yanukovich. The Council's so-called Venice Commission, which specialises in providing constitutional advice to new democracies in Central and Eastern Europe, made a number of criticisms on both the method of passing the reform and its substance. The Venice Commission points to the timing of the reform, less than a year ahead of parliamentary elections expected in October 2012, and to the absence of broad political consensus due to lack of support of opposition political parties. On substance, it questions the reintroduction of a number of single-member constituencies and an increase of the threshold for proportional representation from 3 to 5%. The Venice Commission says these reforms are likely to reinforce single-party rule and marginalise smaller opposition parties. Despite the concerns, Ukraine passed the election law on 15 December, just before the EU-Ukraine summit, and Ukrainian diplomats stressed that the requirement that the law should be passed well in time before the election had been observed. Perceptions of democratic failings are likely to give weight to those who oppose giving Ukraine an explicit membership prospect. Ukrainian officials have argued that, as a European country, it should be given a clear prospect for membership in the text of the Association Agreement. They point to Ukraine's co-hosting with Poland of the Euro 2012 football championship as an example of the country's 'Europeanisation'. The Ukrainian ambassador to the EU, Konstantin Yelisieiev, recently said that the successful holding of Euro 2012 would be the "moral application of Ukraine to join the EU". However, beyond the question of democracy and the rule of law, Ukraine's membership prospects will also be determined by diminished appetite among EU member states for further enlargement. Last month, the French government made known that it opposed further enlargement in the immediate future. Without citing Ukraine explicitly, it said "the speed and scale of the process must take into account the European Union's ability to absorb [new members]." "There exists a direct link between the good functioning of the Union and its ability to welcome, when the time comes, new members. And yet there is today an imperative of internal consolidation of the Union and a better integration of the eurozone." In a resolution passed earlier this month, the European Parliament urges both the rapid signing of the Association Agreement and recognising Ukraine as a potential future EU member. It calls upon EU leaders "to recognise Ukraine's aspirations pursuant to Article 49 of the Treaty on European Union [on possible EU membership], provided that all criteria, including respect for the principles of democracy, human rights, fundamental freedoms and the rule of law, are met". The text goes on to urge "mak[ing] the necessary progress in order to achieve the rapid initialling of an EU-Ukraine Association Agreement, preferably by the end of 2011 if possible". President of the European Parliament Jerzy Buzek said in a press release issued on 27 November, Tymoshenko's birthday: "There is unfortunately nothing to celebrate. Particularly when we receive information on the deterioration of her state of health and the lack of appropriate medical treatment." "The timing, intensity and number of politically motivated trials she is facing shed light on the lack of independence of the Ukrainian judiciary and on the partisanship of Ukraine's elite. Ukraine cannot be welcome in the European family if Ukrainian authorities do not respect European standards and values," he added. Former Ukrainian Prime Minister Yulia Tymoshenko sent a letter to EU leaders in November in which she calls for the signing of the Association Agreement with Ukraine regardless of the outcome of her trial saying, "I cannot allow my personal freedom to be the reason for the death of the European dream of Ukraine's people." "To begin to recover our liberty, we urgently need the assistance of the world’s democratic community. … For Ukraine, signing of the document would be a historic breakthrough to the European dream, the final confirmation and protection of our independence; it would provide a hope of freedom and a decent life for 47 million Ukrainians, and the chance to abolish authoritarianism," she added. In a speech on the conclusion of trade talks with Ukraine, European Commissioner for Trade Karel De Gucht stressed that this was the first time that a commercial agreement would mean such the adoption of EU rules on issues as wide-ranging as intellectual property and food safety. "In negotiating this type of deal, the EU is making an unprecedented offer of deep integration with its own market. This could be the most ambitious deal of its kind ever negotiated by the EU – not in terms of trade volume but in terms of economic integration," he said. 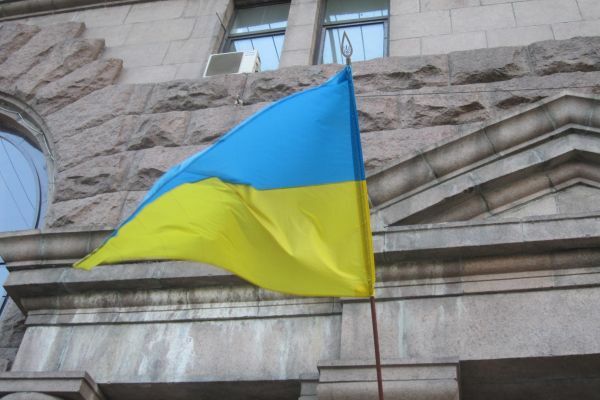 Ukrainian Ambassador to the European Union Kostyantyn Yelisieiev, in an op-ed published by EURACTIV, was optimistic about the signing of the agreement. "The numerically catchy date of 11/11/11 will be remembered in the history of Ukraine-EU relations as the day when the sides 'sealed the deal'. After nearly five years and 21 rounds of rather exhaustive meetings, the chief negotiators finally shook hands on the text of the Ukraine-EU Association Agreement," he said. Yelisieiev noted that the only point of contention was an explicit mention of giving Ukraine a perspective for EU membership. He urged the inclusion of such a clause and argued it would encourage the country's democratisation and be a vote of confidence in the Union. "Ukraine is Europe. And if Europe doesn't belong with Europe, then there must be something wrong with the logic of the whole unification project," he said. Viktor Tkachuk, director-general of the Ukrainian Foundation for Democracy 'People First', said that Ukrainian authorities, hesitating in their political choice between Moscow and Brussels, have put Europe in front of two difficult dilemmas. "The first one is the formulation of the prospect of Ukraine’s EU membership in the Association Agreement. Actually, a distant prospect of Ukraine's membership in the EU should have been declaratively fixed in the Association Agreement. Certainly making it conditional on the achievement of EU standards in the sphere of democracy, as well as political, economic and social development. "The second dilemma is what steps should be taken while former Prime Minister Yulia Tymoshenko stays in jail. In fact, the EU can wait for the decision concerning Tymoshenko's case in the European Court of Human Rights in March of 2012 before initialling and signing of the Association Agreement. By doing this the EU would avoid political accusations from the side of Ukrainian authorities and would keep the dialogue with the civil society of Ukraine ongoing. "In reality, Europeans continue to use the practice of 'double standards' concerning Ukraine. But the EU should understand that this will consequently lead to a double cost for Europe itself. The 'double dealing' of the European Union can result in the beginning of federalisation of Ukraine according to the Yugoslav scenario. This will not only add more troubles to the all-European crisis, but also will lead to the appearance of a new complex of risks and threats at the EU borders. "Is Europe ready for this? Very unlikely," Tkachuk concluded. Olga Shumylo-Tapiola, a scholar specialising in Eastern Europe with the Carnegie Endowment for International Peace, argued that the summit's outcome was a "tactical victory" for Yanukovich as that the event had allowed the Ukrainian president to receive positive media attention without making concessions to the EU. "Tymoshenko and her former colleagues are still in jail, the rules of the game for the next parliamentary elections are fine-tuned for his party to win the majority of seats, the constitution is reversed to favor the current president, and the negotiations on the Agreement are concluded," she said. 24 August 1991: Ukrainian declaration of independence. 26 December 1991: Formal dissolution of the Soviet Union. July 1995: The Mission of Ukraine to the European Communities created. November-December 2004: Presidential elections and 'Orange Revolution' oust Prime Minister Viktor Yanukovych. Rise of Viktor Yushchenko and Yulia Tymoshenko. February 2008: Beginning of EU-Ukraine Free Trade Agreement (FTA) negotiations. May 2009: Launch of Eastern Partnership initiative. January-February 2010: Viktor Yanukovych defeats Yulia Tymoshenko in presidential elections. August-October 2011: First trial of Yulia Tymoshenko and guilty verdict to seven years for 'abuse of power'. 19 October 2011: EU-Ukraine talks on Deep and Comprehensive Free Trade Agreement (DCFTA) conclude. 18-19 December: EU-Ukraine summit in Brussels, expected signing of the Association Agreement. Do the Math EU aid per year approximately 170 million Euro. Russian offers worth between five and ten billion Euro. And in the current credit crunch cash is king. Of course in 2012 the EU is likely to be again in recession. Exposing all the talk of new EU sources of Ukrainian investment as a palpable nonsense. The only real test for the leader of Ukraine is likely to be arithmetic. And if the leader endorsed by the Party of Regions decides ‘a bird in the hand is worth two in the bush’ Russia will win this game. Not that given the EU’as many problems anyone outside Russia, Ukraine or the EU leadership will give a fig. Ukraine needs to work on its OWN resources and look to neighbours as SECONDARY resources who each have theri OWN problems. Naturally EACH will continue to give home difficulties priority; would anyone expect otherwise?